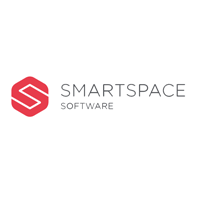 SmartSpace Software PLC (LON:SMRT), formerly RedstoneConnect, has transformed from a systems integration and IT infrastructure business into a software led workspace management platform, targeting recurring revenue growth through provision of its scalable, modular workspace solution. The group is well positioned in the high growth ‘workplace management software’ and ‘occupancy analytics’ markets (15% and 25% CAGR respectively forecast to 2022), with traction from both entry-level and enterprise clients already building. We forecast 59% revenue CAGR for SmartSpace to FY’21, with an exit ARR run-rate of £8.6m by Jan-21. Valuation looks attractive at 1.3x FY’20 EV/Sales, with this multiple likely to expand rapidly as recurring revenues build. The company disposed its Systems Integration and Managed Services divisions in June’18 (£21.6m consideration). SmartSpace is now an IP-led software company focused on high quality recurring revenue which will transform both its revenue and margin profile. have focused on improving office workspace utility driven by rising workspace costs (London: c.$22,500/year/desk). The group has a proven record of delivering highly attractive ROI for clients and has recently landed a number of landmark deals (e.g. Evoko). SwipedOn adds a turnkey, self-serve Visitor Management Software (VMS) solution delivering 100% SaaS revenues. SwipedOn had ARR of c.£0.8m p.a. at Oct’18 and is growing strongly. With the group’s focus on customer acquisition, exit ARR is expected to rise to £1.8m by Jan’20. Demand for the solution is high, churn is low (c.6% annualised rev. churn), and SaaS metrics look attractive at c.5.5x LTV:CAC, (3.0x considered healthy). Valuation at 1.3x EV/Sales looks compelling and we believe does not reflect the positive transformation the business has undergone. Peers trade on 3.0x-4.0x sales which we see as a target valuation for SmartSpace as recurring revenues grow. Using a SOTP valuation, we see a conservative near term intrinsic value of 119p – 152p (36% – 74% upside).